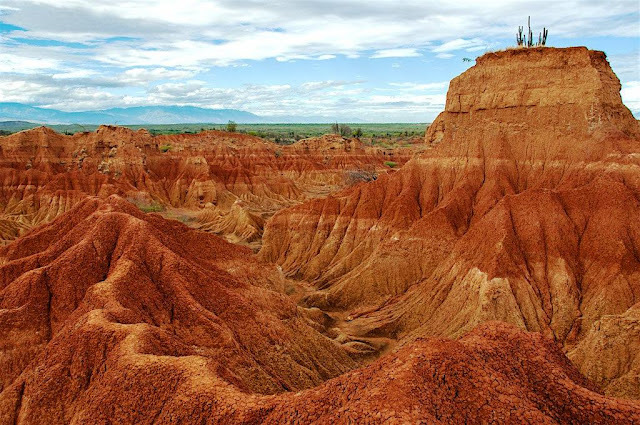 Among all the landscapes in Colombia, Tatacoa Desert is most impressive, due to its greatness, its natural rarity, and its peculiarity. 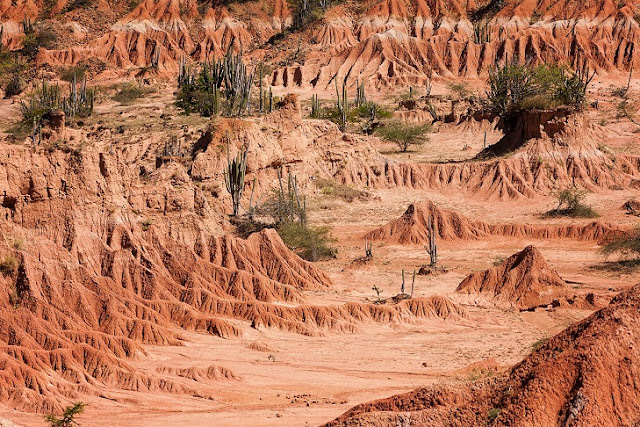 A 330 Square Kilometers desert is a second largest arid zone in Colombia after the Guajira Peninsula. 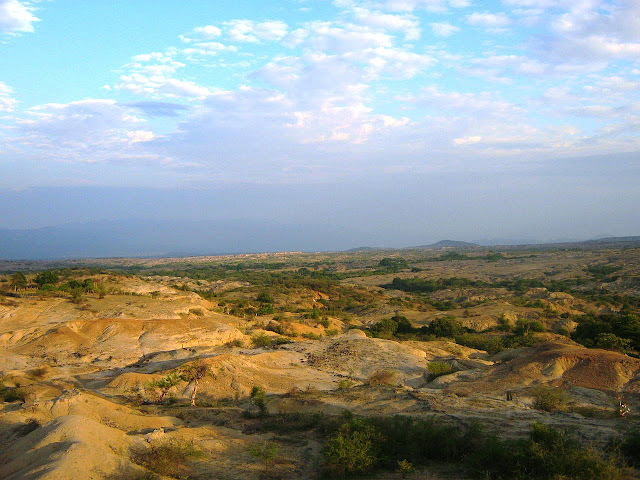 The desert is located north of Huila Department, 38 KM from City of Neiva and 15 KM from Natagaima in Tolima. 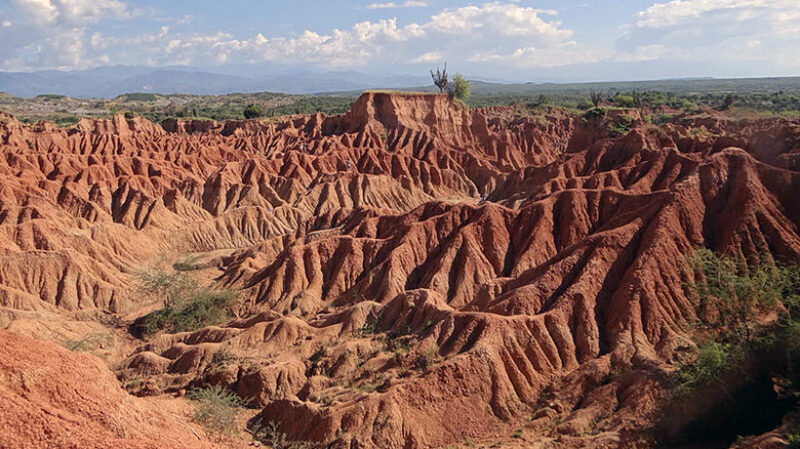 This semiarid region is a rich deposit of fossils and has two distinctive colors, other in the area of Cuzco and gray in the Los Hoyos area. 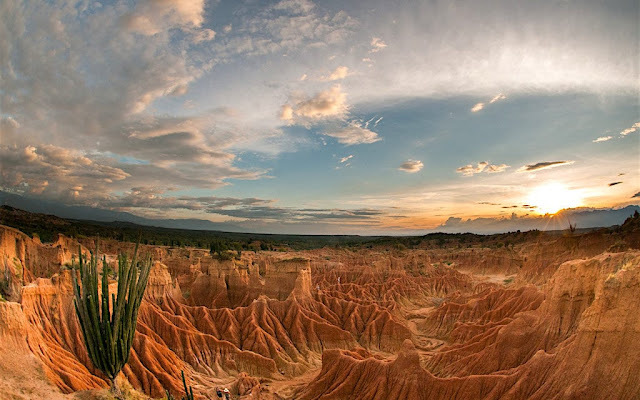 The Tatacoa Desert is one of the few places on the earth, where the sky always seems majestic. In the desert, you can expect blue skies during the day and endless constellations at night. 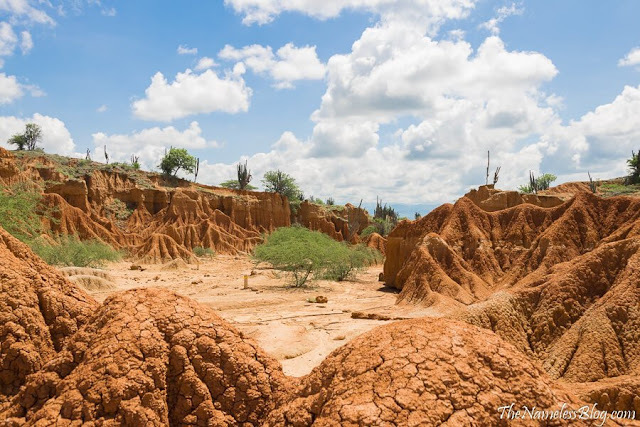 The Tatacoa Desert or the Valley of Sorrows is not just a desert, but a tropical dry forest. 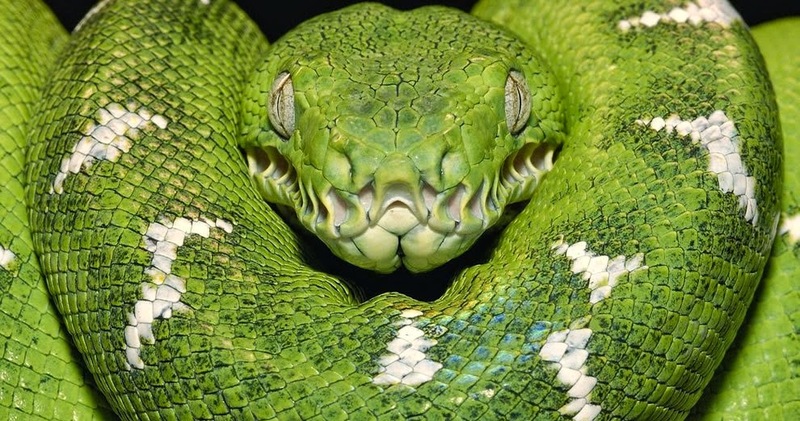 Tatacoa is a Spanish name, meaning rattlesnakes. 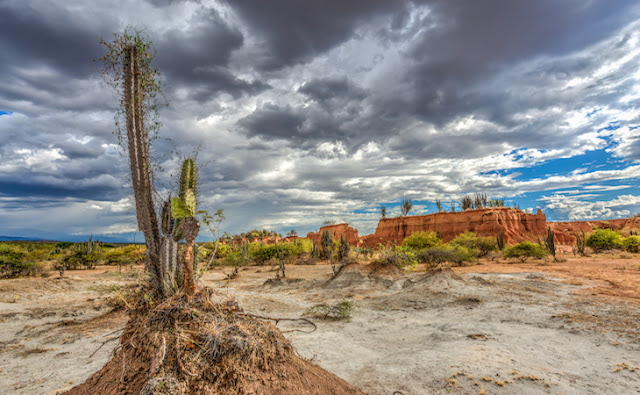 During the Tertiary Period, it was much wetter, with thousands of rare flowers and trees, but as time passes, it has been gradually drying up to become a desert. 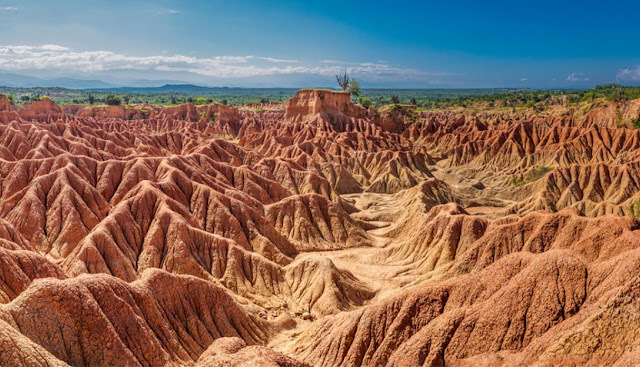 The Tatacoa is heavily eroded and crossed by dry canyons that develop transiently in the winter months or during the rainy seasons. 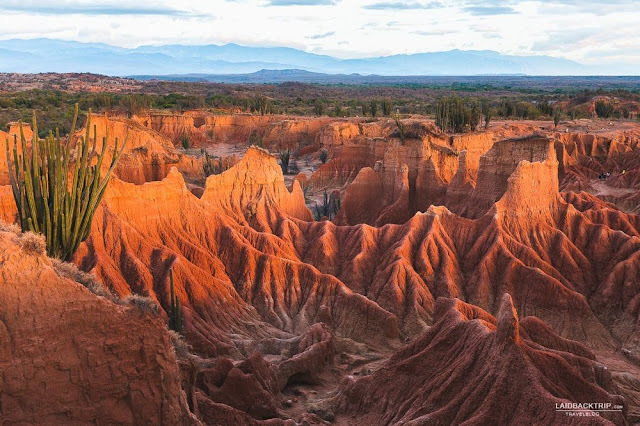 The exclusive secretive shapes are created on clay surfaces, creating labyrinthine gullies in the landscape that can reach 20 meters deep. 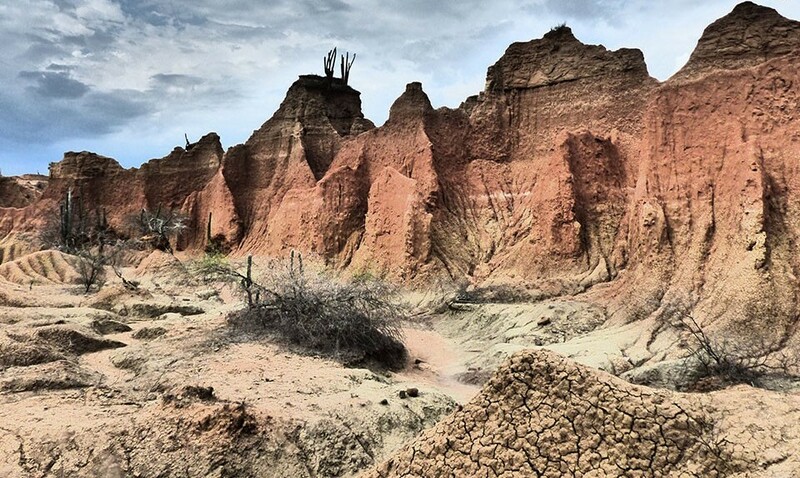 The Tatacoa Desert is one of the amazing landscapes, geographical wonders, and a magic sky. The desert average temperature is 28° C; yet on sunny days, it can go up to 40° C. For these reasons, the Tatacoa Desert receives many visits of paleontologists and geologists for whom it is a research paradise. 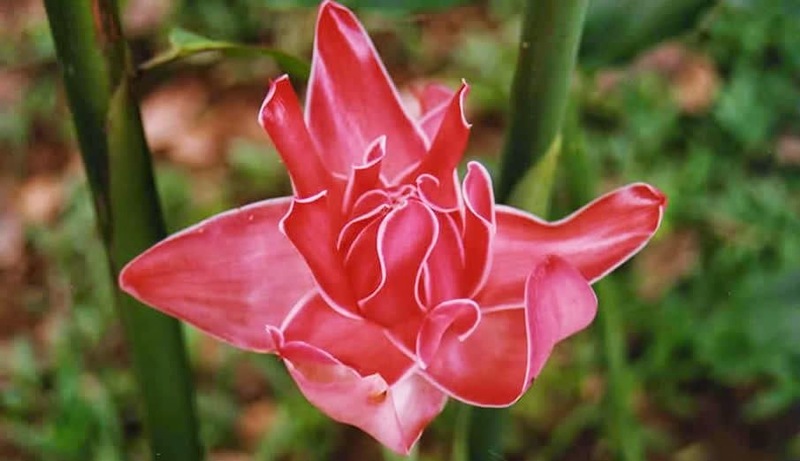 In the low humidity and high temperatures, there is relatively little runoff, and animal and plant life is adapted to the conditions. 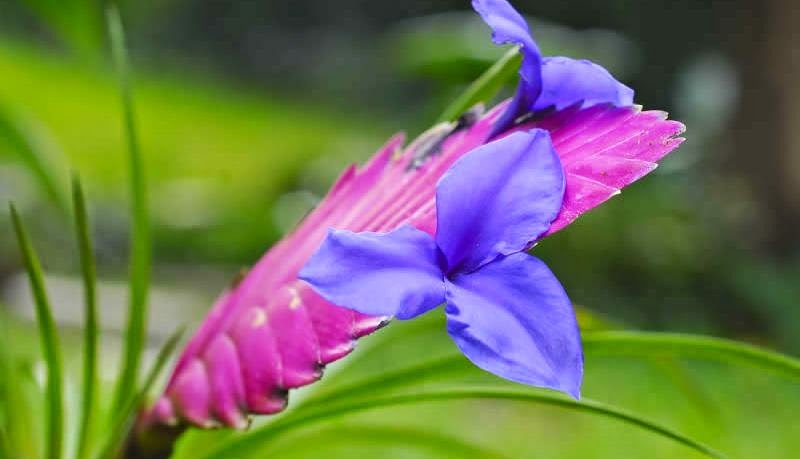 The plants in this area are adapted to climatic conditions through the development of horizontal roots. 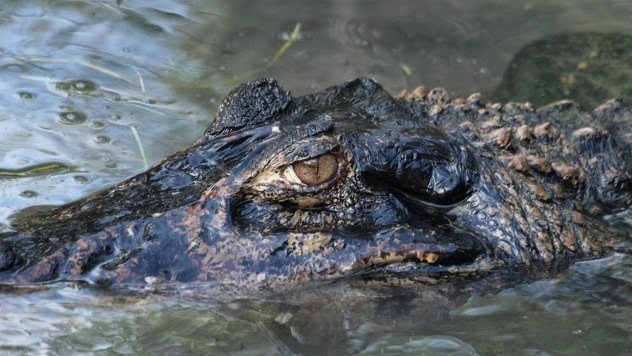 The wildlife includes rodents, turtles, spider, snakes, spiders, scorpions, eagles, alligators and wildcats, and cacti reaching between four and five meters high. 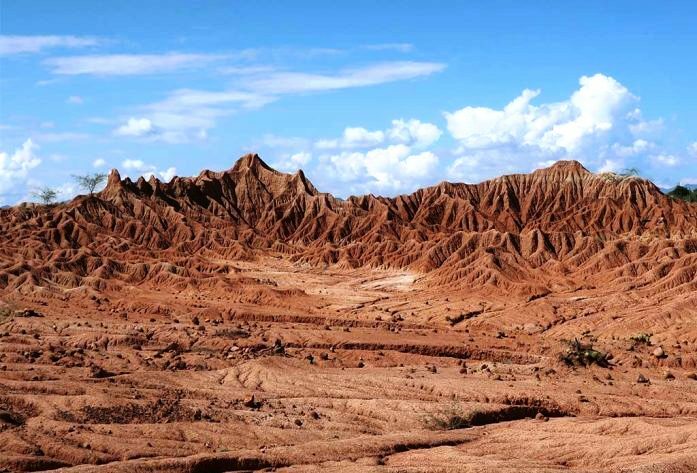 Tatacoa Desert atmospheric conditions are good for astronomy and many extraordinary natural destinations of Colombia. The area has little pollution or noise, attracting tourists who stay there to enjoy the silence, scenery and tranquility or the stressful city noises. Although it is not necessary to go into the observatory for stargazing, as the desert is a place with a privileged and clear view of the sky, as there is no light pollution. Here are some of the interesting activities that may entice you whilst at Desierto de la Tatacoa. 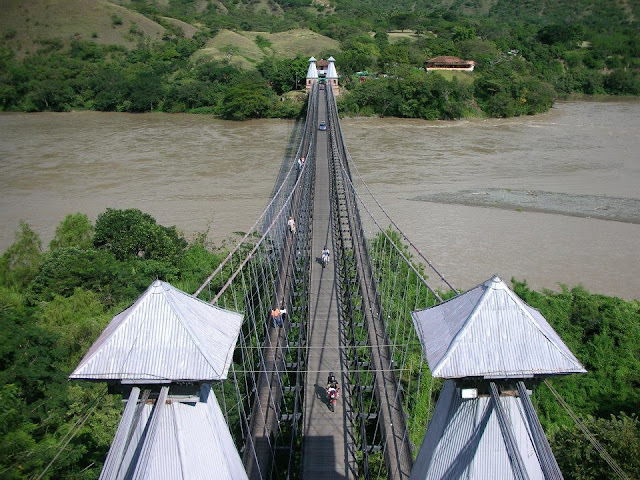 The Puente de Occidente is also called Bridge of the West is located in western Antioquia, Colombia. 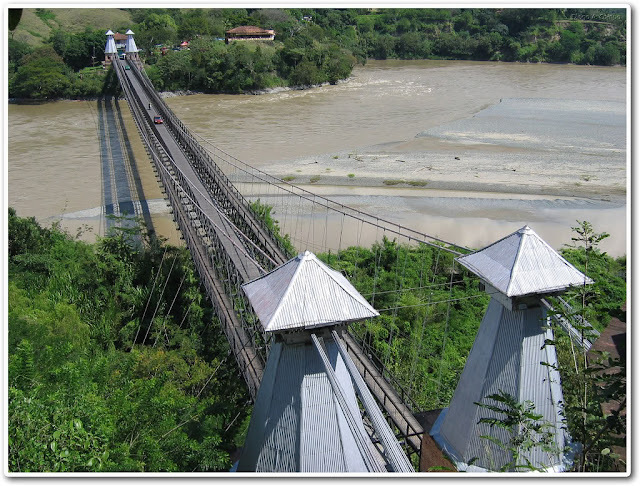 The Puente de Occidente is a suspension bridge that connects the municipalities of Olaya and Santa Fe de Antioquia, east and west of the Cauca River, respectively. 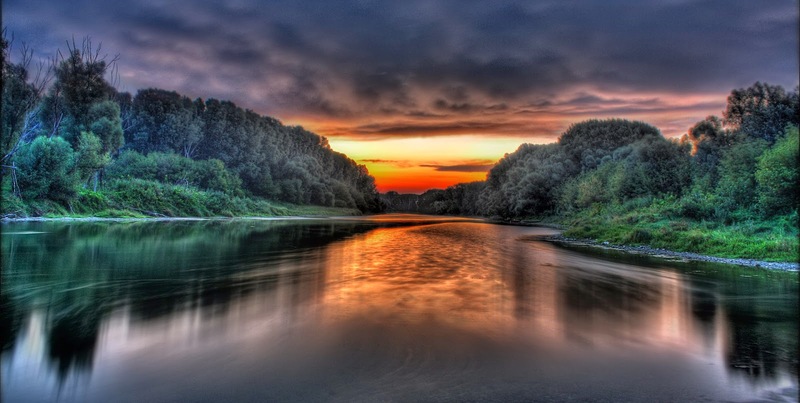 Therefore, this was an impressive single suspension span supported from four pyramidal towers on each bank of the river with each tower anchoring two cables. 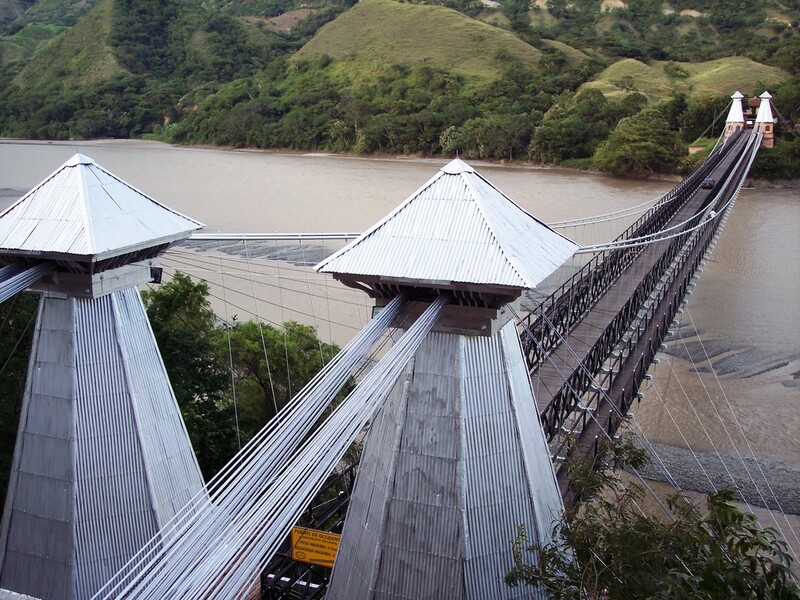 The suspension bridge has a main central section which cars and smaller trucks can cross and two pedestrian paths on either side of the central roadway. So far, it is considered the 7th largest suspension bridge worldwide. 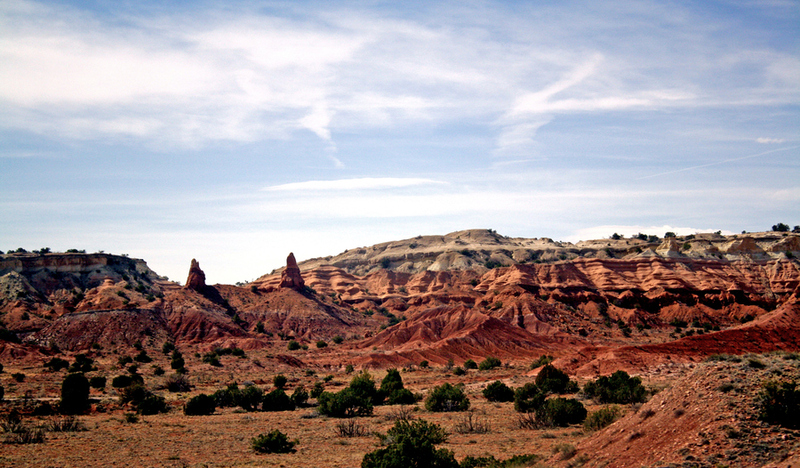 The bridge construction was started in 1887. 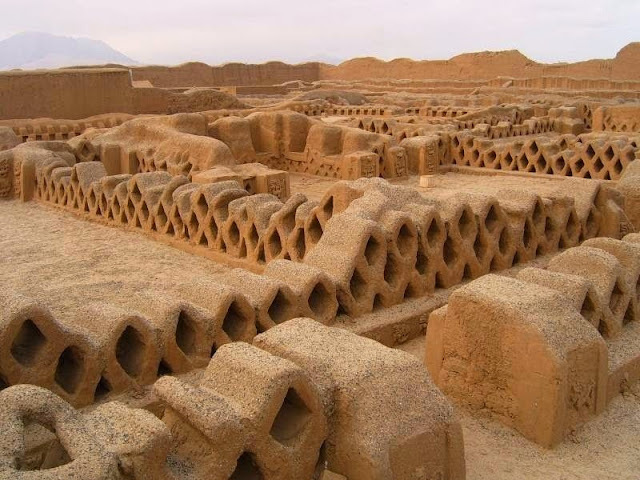 So, material mainly iron and steel was being imported from England, however towers were built with local materials. The 291 meter high bridge works begin in December 1887 and completed in 1895, approximately five years after initiation with the final cost was 171.000 pesos. 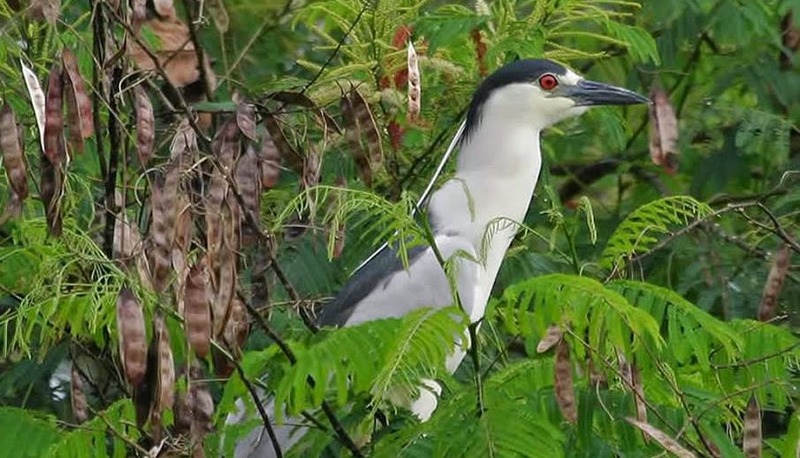 Initially it was open for pedestrian only, but later on decision was made revert and vehicles were allowed. 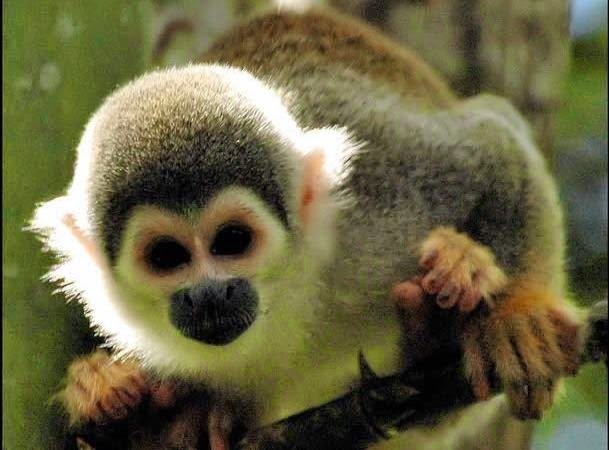 These days much longer suspension bridge in providing facilitation to South American. 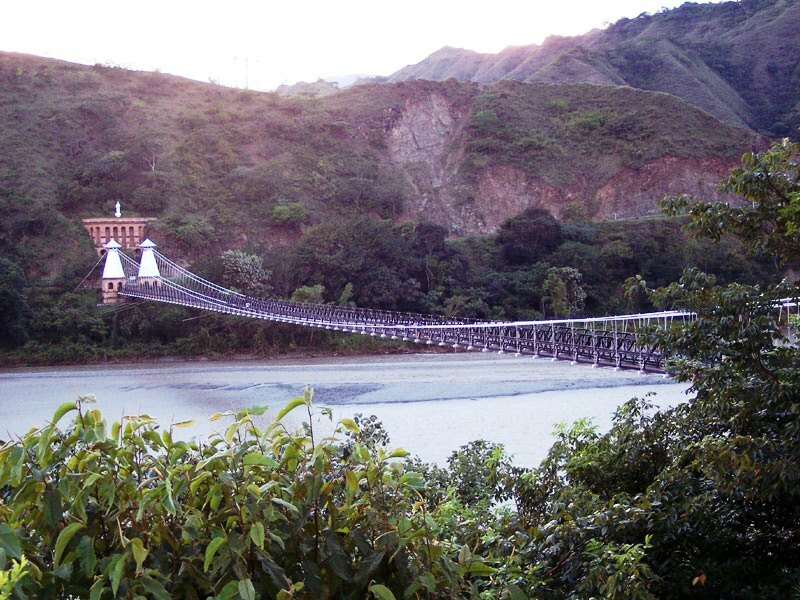 Once, the Puente de Occidente was longest of such type in the continent, and with the passage of time, it requires repair work, which were significantly performed in the early part of 2014. 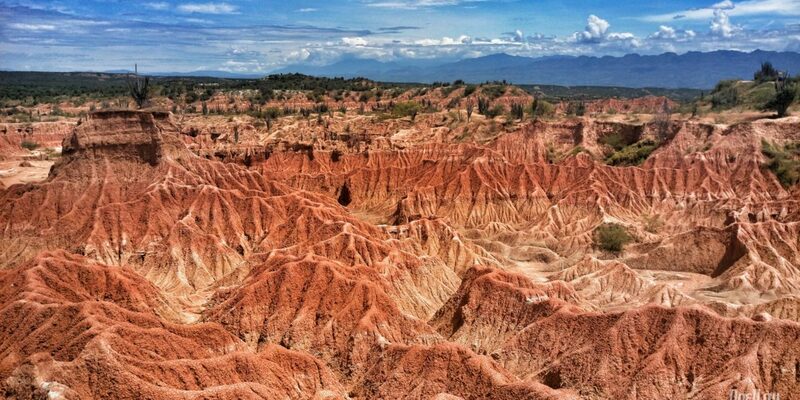 In Nov 1978, it was declared a National Monument of Colombia. 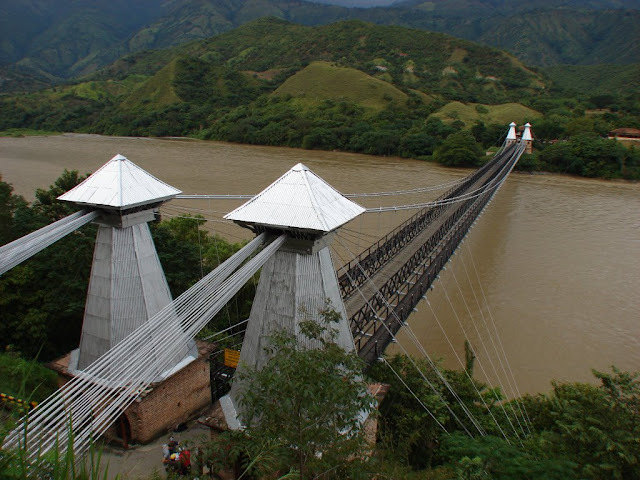 Moreover, the structural system of the Puente de Occidente is alike to the suspension/cable-stayed hybrid used in the Brooklyn Bridge. The bridge´s structure is made up of four caraway wooden towers, iron sheets supported on masonry walls, wire ropes and a roadway of 3.10 meters wide and lateral sidewalks. 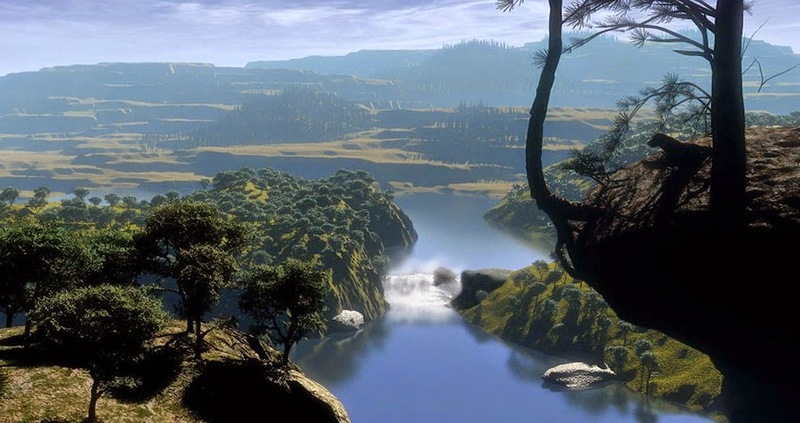 In 1955, bridge was underwent reinforcement works to increase the bearing capacity to allow vehicles. 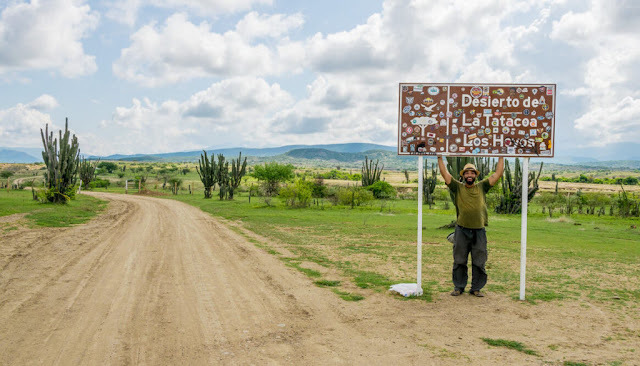 The Puente de Occidente was an expeditious way to get to the Magdalena Rive the country’s main waterway that divides the province into two parts. The major purpose was to construct the bridge actually remove the obstacles in order to establish the trade routes and would connect the region with other regions in the country. 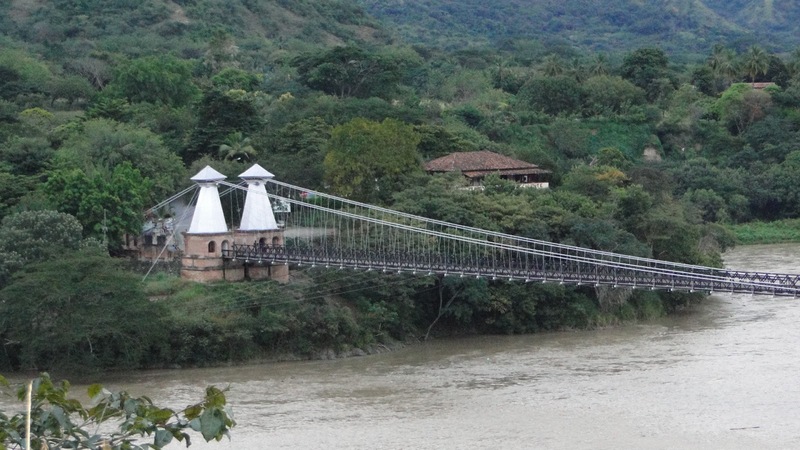 On May, 30 1881, a decision was made to build the suspension bridge over the Cauca River. 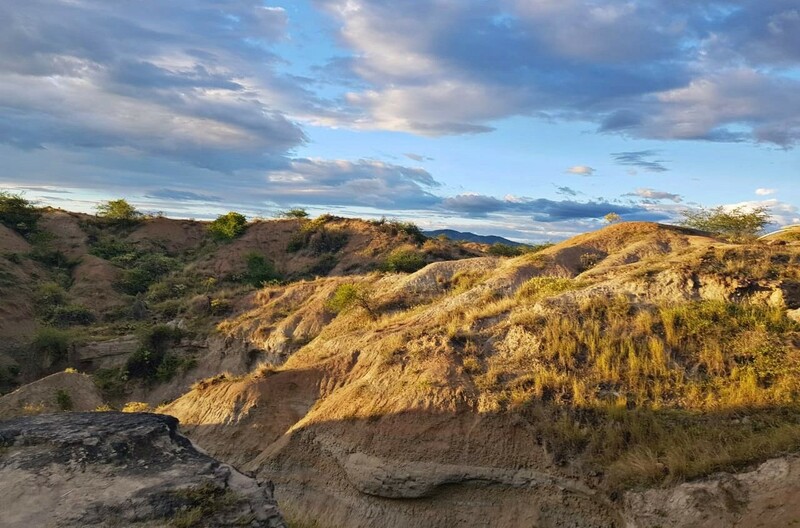 Before the bridge, the river was undoubtedly, the greatest obstacle for the communication between the people of Antioquia. Due to rich history, and vulnerability, the bridge is included in tentative list of UNESCO World Heritage Site. Chan Chan city is located near the Pacific coast in the Peruvian region of La Libertad, approximately five kilometers west of Trujillo. It was the largest Pre-Columbian city in South America and the largest earthen architecture city in the world. 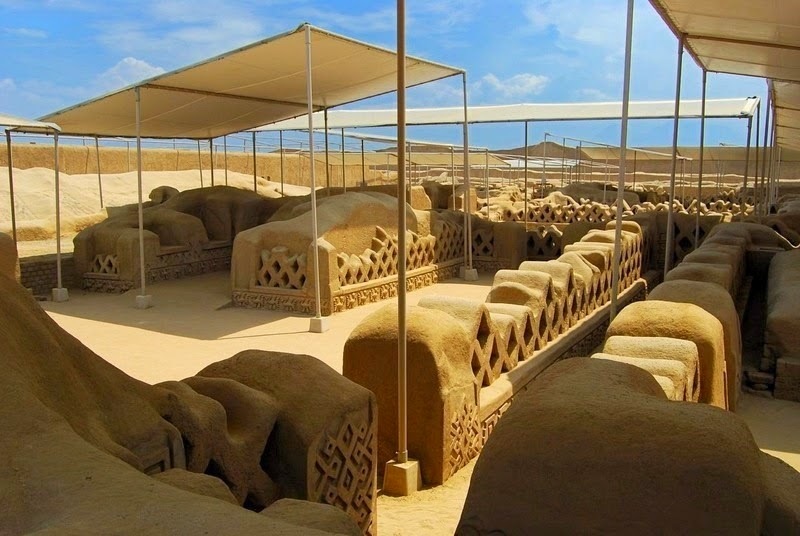 Chan Chan was the capital of the Chimú civilization that stretched along the northern coast for a thousand kilometers from just south of Ecuador down to central Peru. 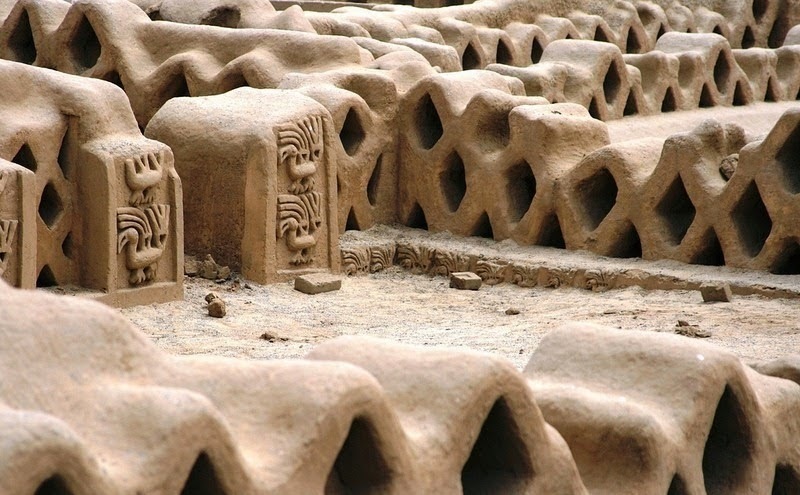 The city itself was built about 850 CE and lasted until its conquest by the Inca Empire in 1470. 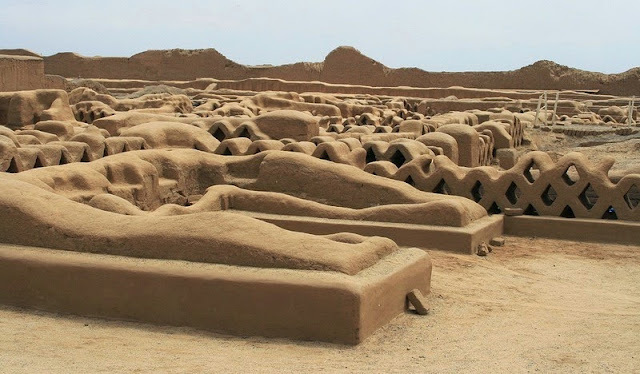 At the height of the Chimú Empire, Chan Chan stretched more than 20 square km with a monumental zone of about 6 square kilometers in the center, and housed a projected 60,000 populations. Therefore, the city had 9 large rectangular citadels surrounded by thick earthen walls about 30 to 60 feet high. Moreover within these units, were thousands of buildings including temples, houses, stores are arranged around open spaces, together with reservoirs, and funeral platforms. The walls of the buildings were every so often decorated with raised carvings representing abstract motifs and animals. 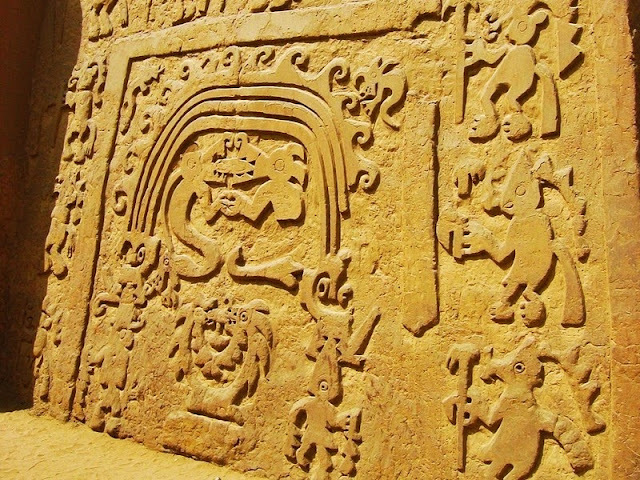 Outside these nine rectangular units were four industrial sectors fixed to woodwork, weaving, and the work of gold and silver. 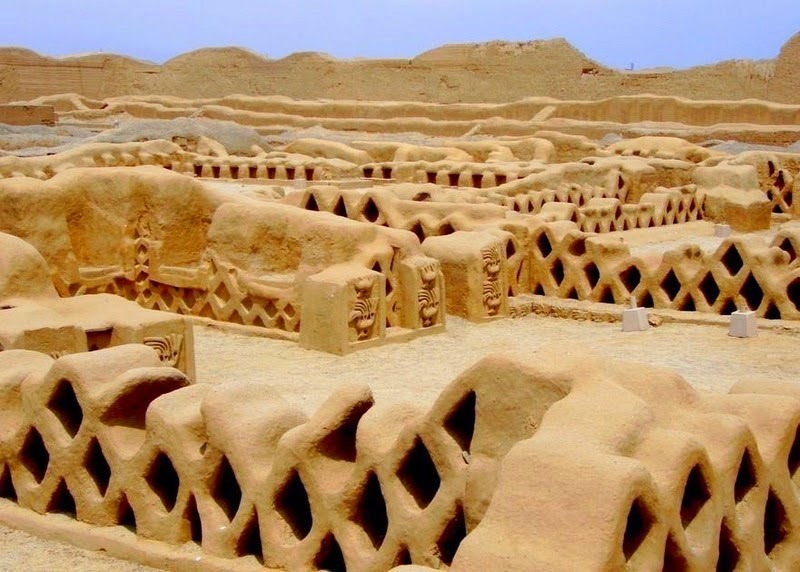 Unluckily, the city was deprived of these valuable metals by Spanish treasure hunters who ransacked the city during the 16th century. Moreover, an area further to the south was used for farming; the land watered by an intricate system of irrigation. Chan Chan was recognized in one of the world's bleakest coastal deserts, where the average annual rainfall was less than a tenth of an inch. 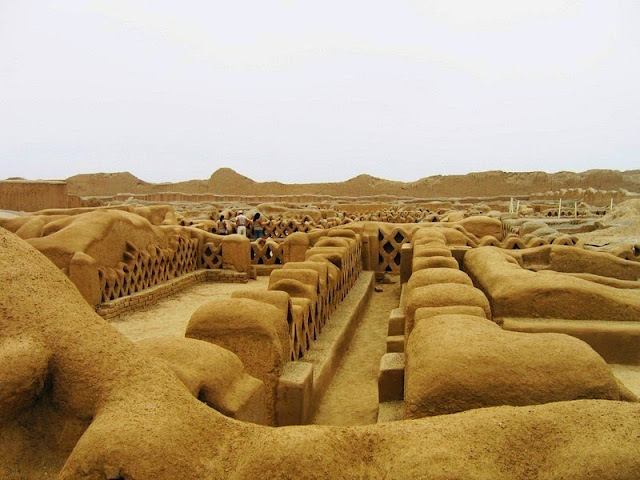 It was due to dry desert air that allowed the city’s earthen structure to remains to this day. 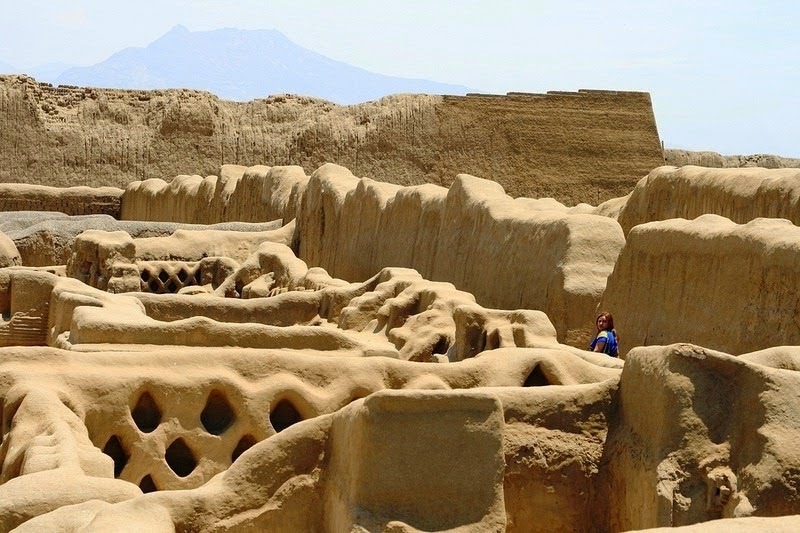 Ironically, due to the changes in weather conditions, nowadays Chan Chan is endangered by too much water, as heavy rains steadily wash away this ancient city. 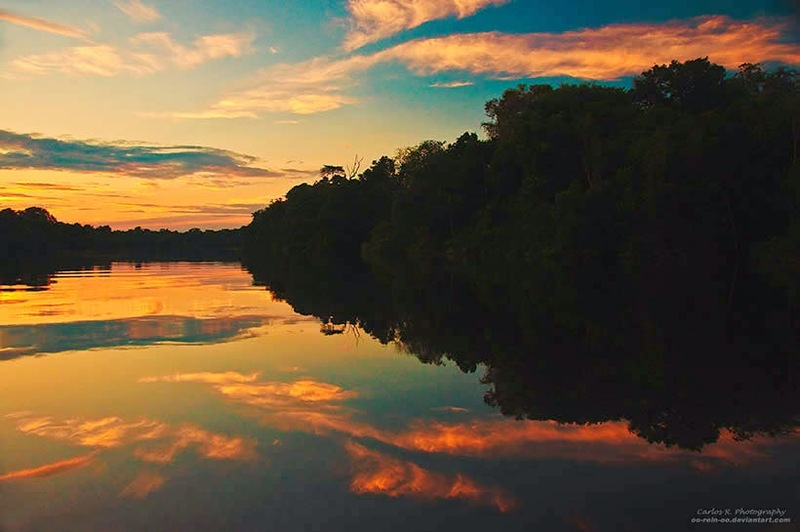 Amazon River is the greatest river of South America and the largest drainage system in the world in terms of the volume of its flow and the area of its basin. 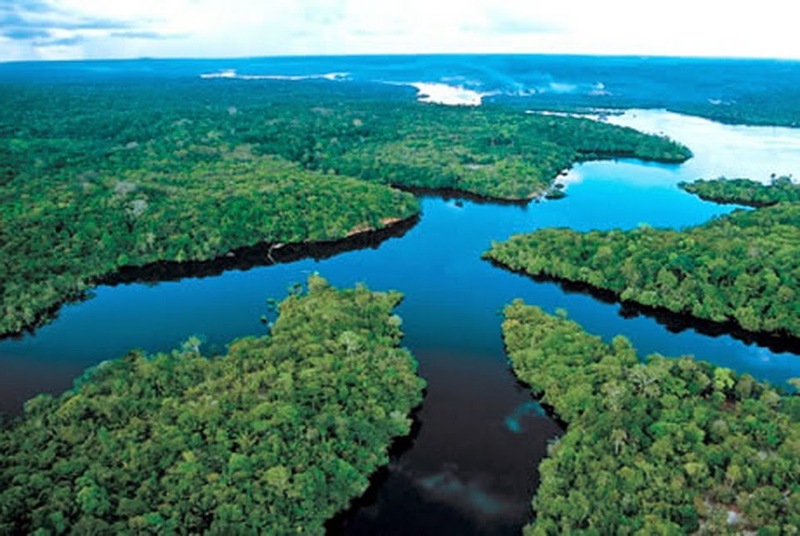 Amazon River is at approximately 4,000 miles (6,400 kilometers) equivalent of the distance from New York City to Rome. 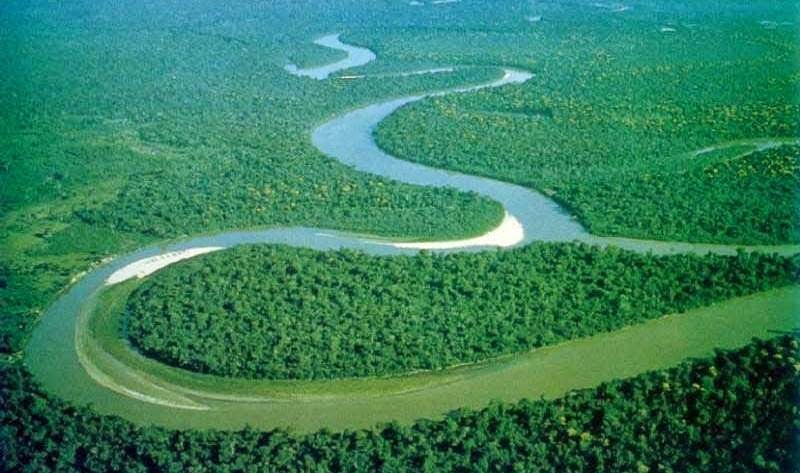 Amazon River is the 2nd longest river in the world, just slightly shorter than the River Nile, but the largest river by volume. 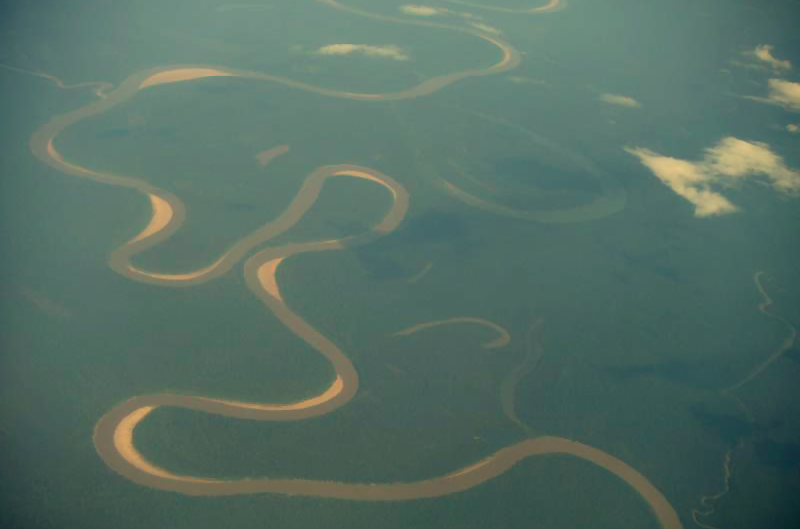 The length of the Amazon and the Nile Rivers has been in a tight battle for title of world's longest river. 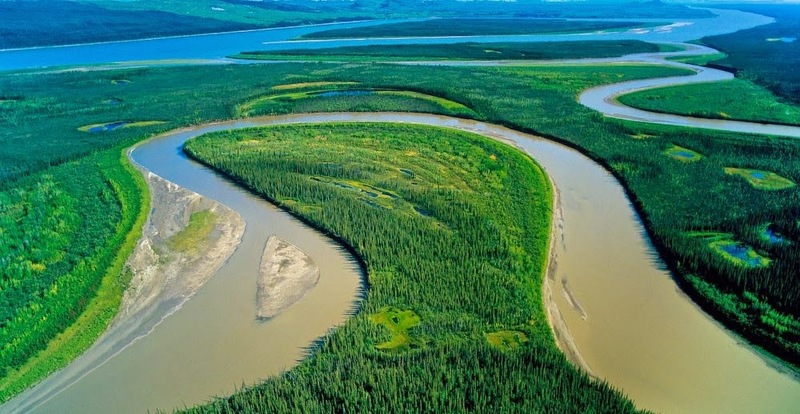 The precise length of the two rivers differs over time and reputable sources disagree as to their actual length. 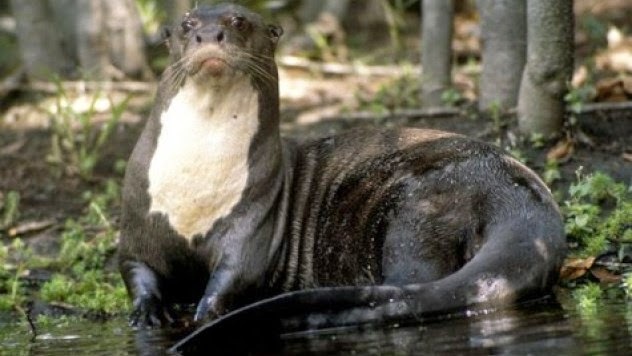 The Amazon River has more than 3,000 recognized species of fish and more new species are still being discovered. 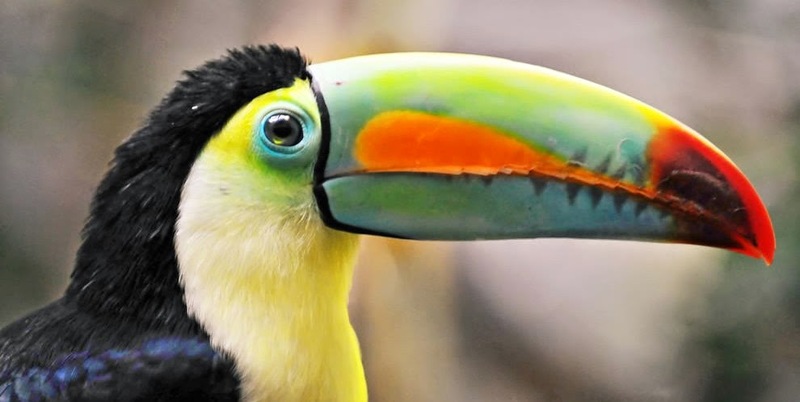 The Amazon Basin is covered by half of the planet’s remaining rainforests. 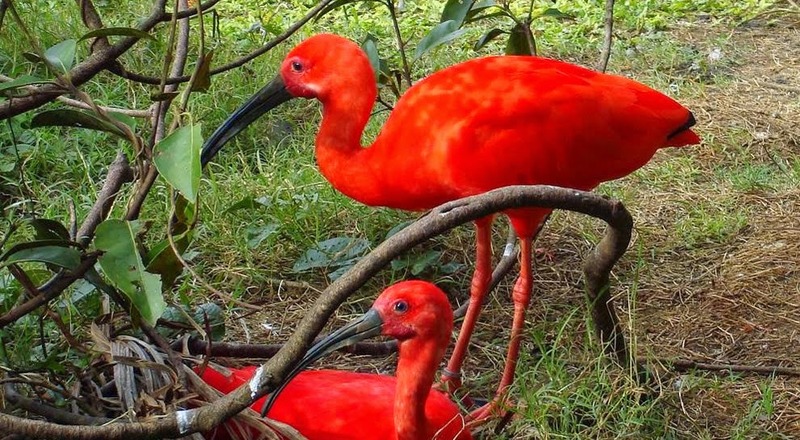 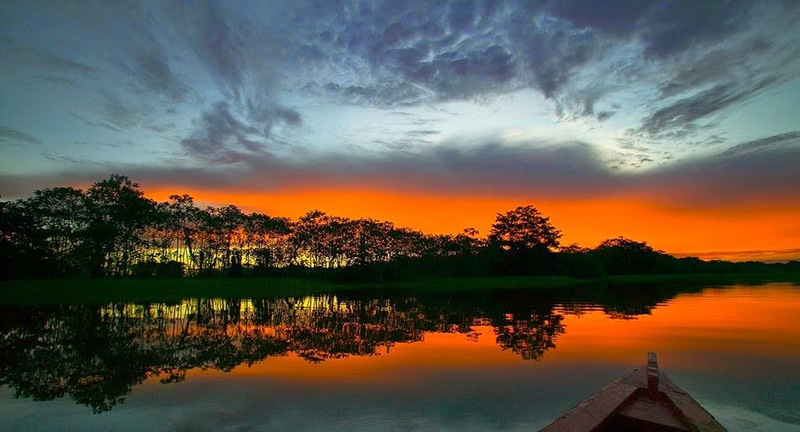 Therefore a tenth of the world’s projected 10 million living species live in the Amazon rainforest, jungle tours are more about the boating upriver into the damp, buzzing, oppressive ambience than actually spotting animals. 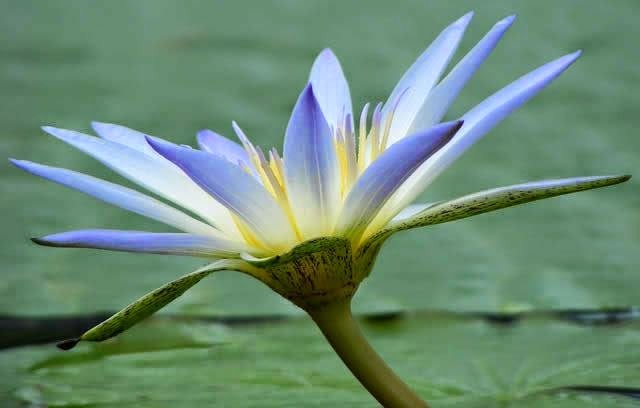 Amazon River westernmost source is high in the Andes Mountains, within 160 kilometers of the Pacific Ocean, and its mouth is in the Atlantic Ocean, on the northeastern coast of Brazil. 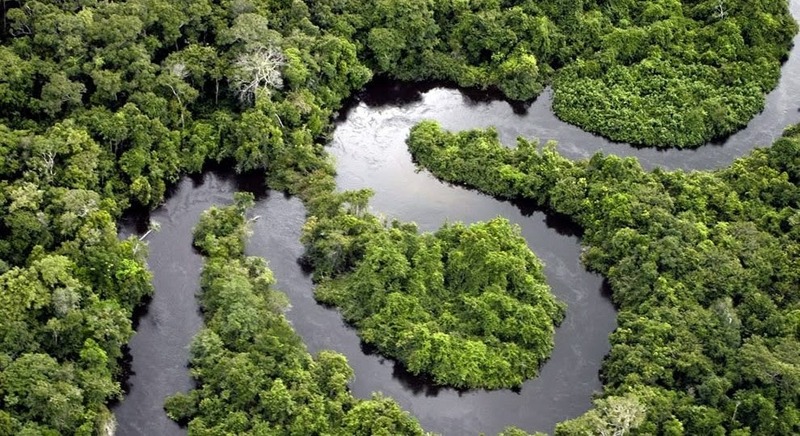 As most of know, that Amazon River is located in South America. 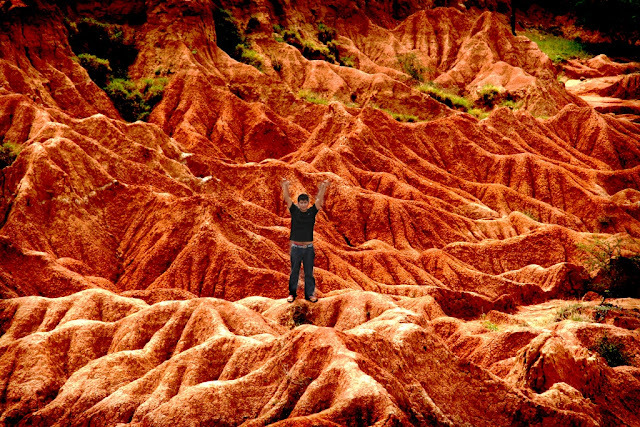 And it runs through Guyana, Ecuador, Venezuela, Bolivia, Brazil, Colombia and Peru. 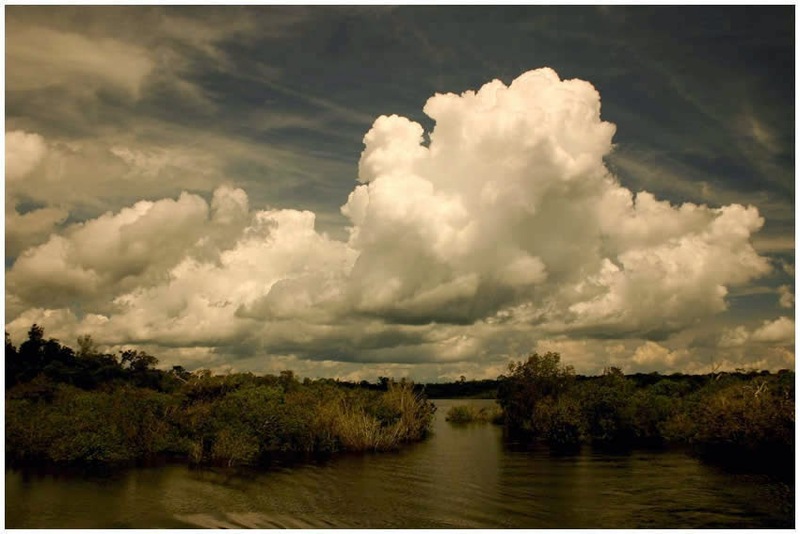 During the rainy season, the Amazon River can stretch to over 190 kilometers (120 miles) in width. 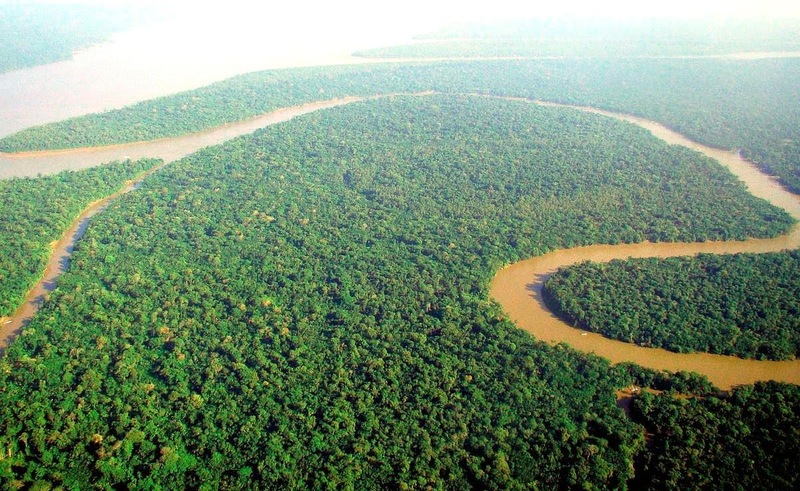 There’re no bridges that cross the Amazon, because there is no need of bridges as the majority of the Amazon River runs through rainforests rather than roads or cities. 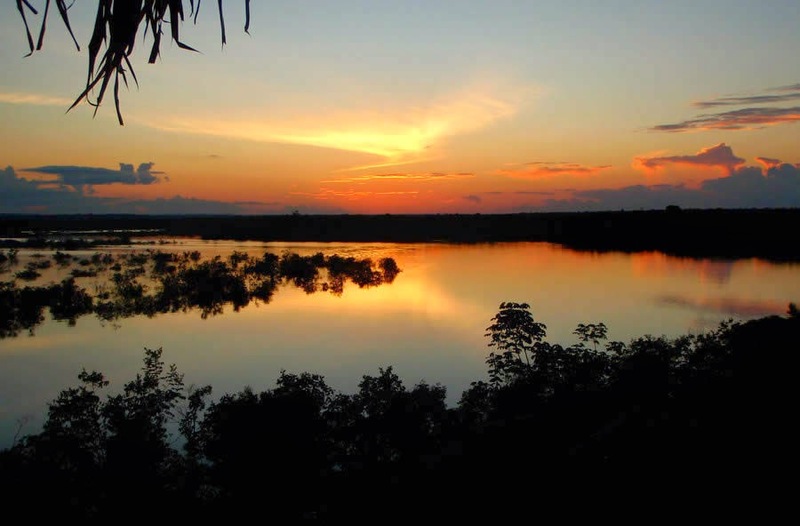 The largest city along the Amazon River is Manaus. Located in Brazil it is home to over 1.7 million people. 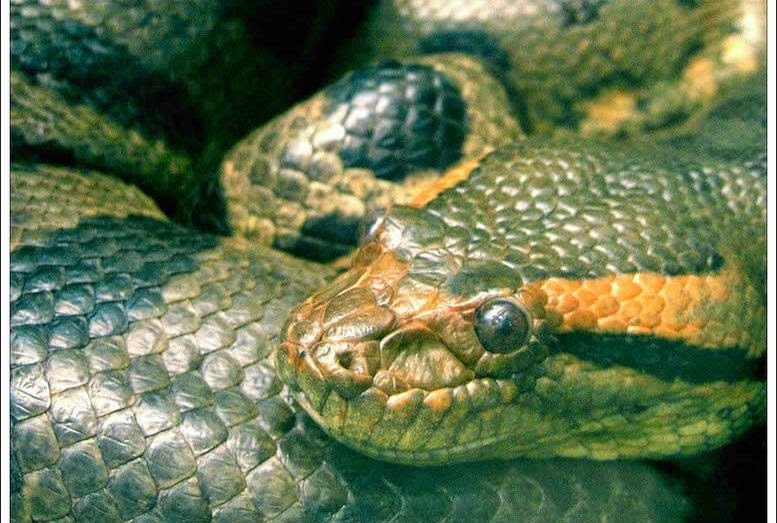 The one of world’s largest snake Anacondas lurk in the shallow waters of the Amazon Basin, they’re occasionally attack larger animals such as goats that get to close the water. 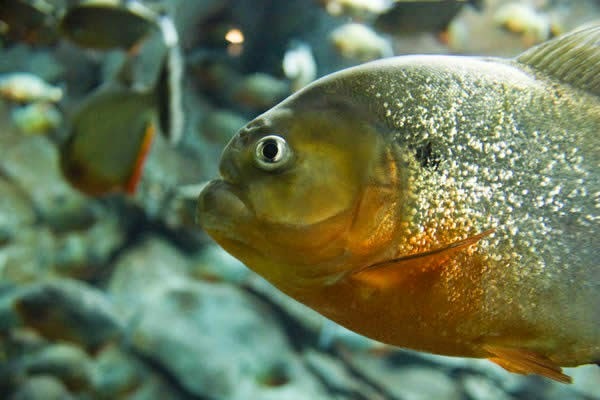 The Amazon River is also home to the piranha, a meat eating type of fish! 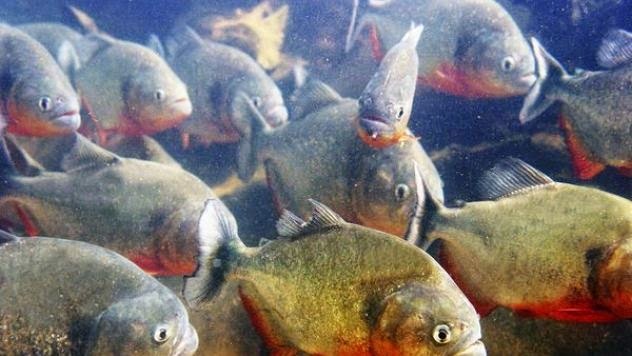 Being carnivores, piranhas are famous to attack in groups, preying on livestock that strays into the water and possibly appearing in one or two of your own nightmares! 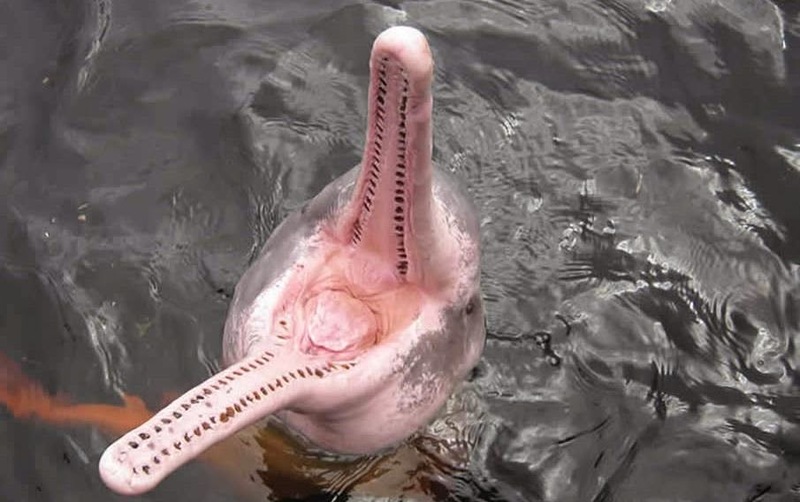 The Amazon River is not only the greatest in the world but it is also home to several other "Extremes" A captured Arapaima: one of the largest freshwater fish species in the world of the natural world. 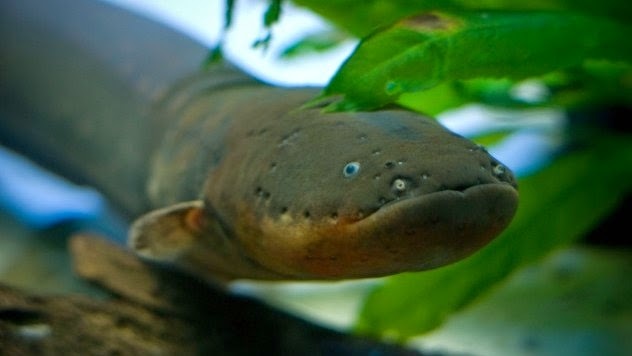 Rapaima is locally famous as Pirarucu Arapaima gigas are one of largest, fresh water fish in the world. 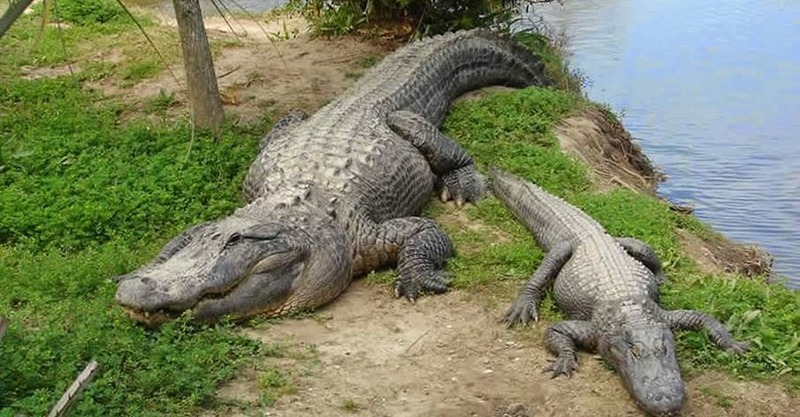 They’ve been found to reach a length of 15 ft/4m and can weigh up to 440lbs/200kg. 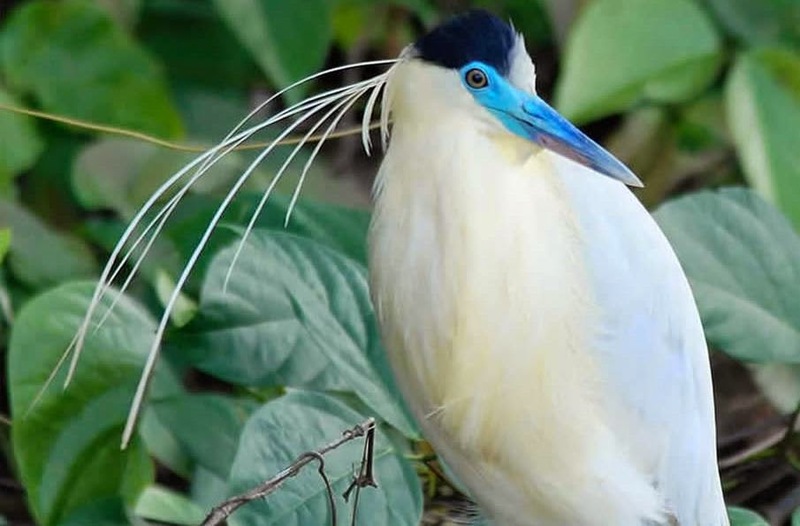 Catfish normally found in warm & slow moving waters of lakes and streams are pretty creepy looking fish with big flat heads and "whiskers" on either side of their heads. 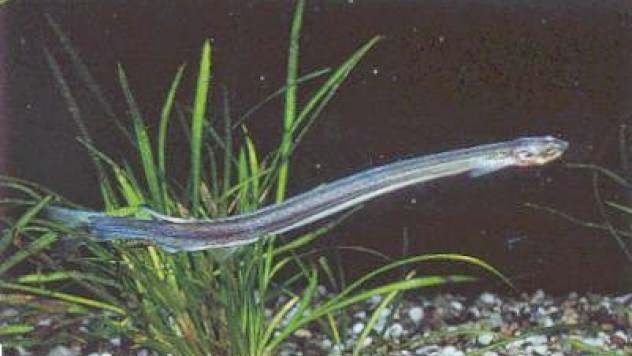 Most catfish are anywhere from 8” in long to about 5 feet and weighing in at up to 60 pounds. 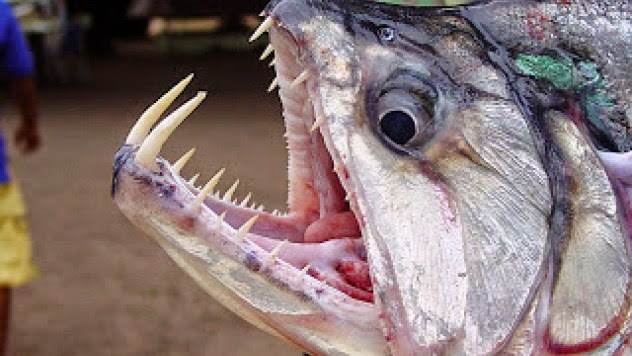 But the catfish that lives in this part of world is as big as nature will allow they’ve been captured weighing over 200 pounds! 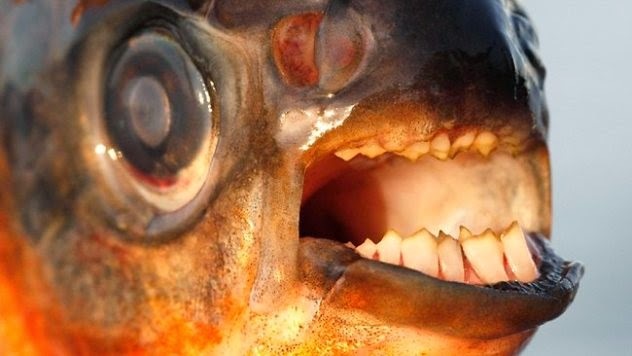 One of the largest freshwater fish in the world is found living in the waters of the Amazon River. 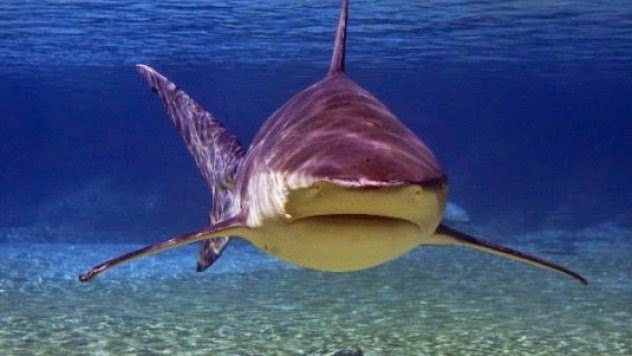 Cool Factoid: Did you know that bull sharks have been found in the Amazon River? 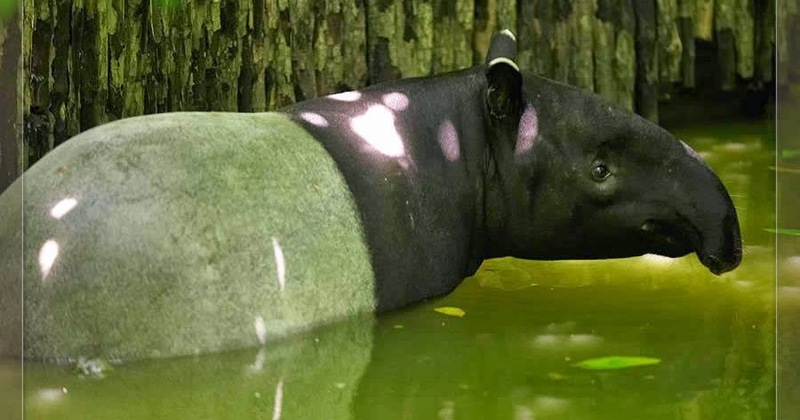 Researchers have captured live bull sharks as far as 2,300 miles inland from the sea thriving in freshwater in the foothills of the Peruvian Andes. 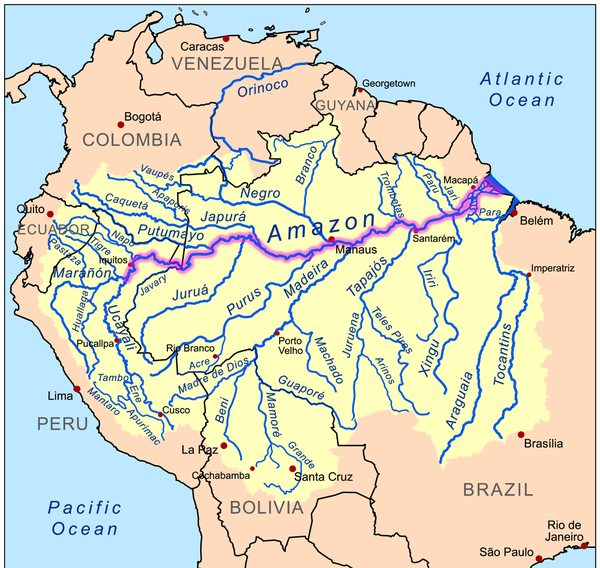 Amazon River drainage basin is the whole northern half of the continent of South America as a shallow dish or saucer. 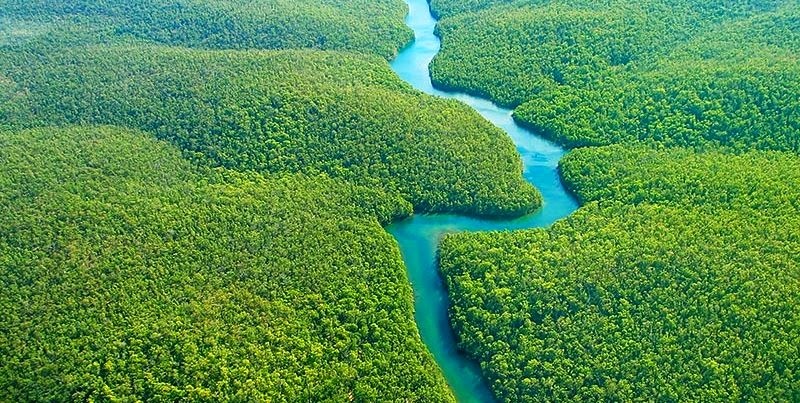 Whenever rain falls and lands anywhere in the river basin it all runs into the lowest place in the pan, which happens to be the Amazon River. 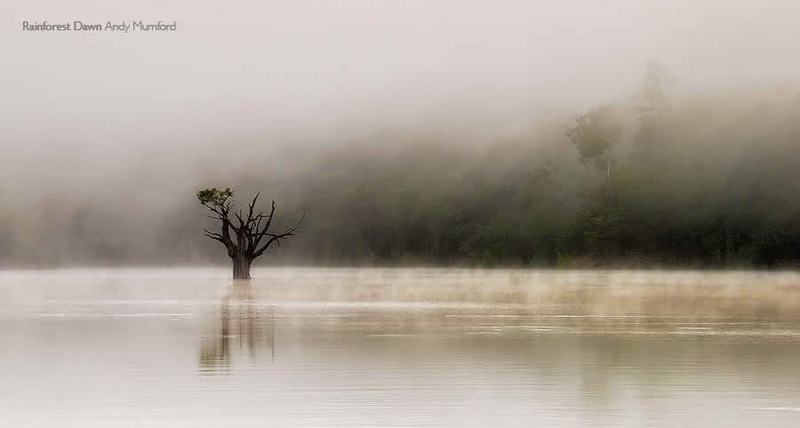 The sheer volume of rain in the Amazon jungle and the slope of the surrounding land, combine to create the enormous river famous as the Amazon. 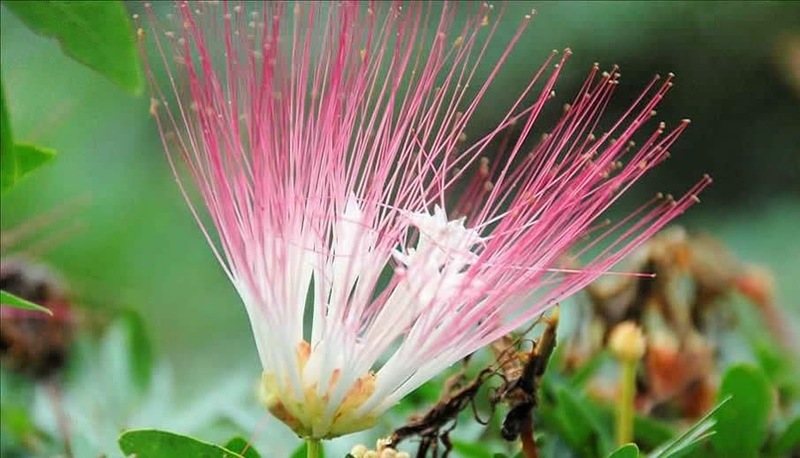 Here's list of some species which can easily found at Amazon River.